WELCOME TO MY FAMILY CONSUMER SCIENCE WEB SITE!!! Where improving the quality of life for myself, my students, and all those I come in contact with is my major goal and objective. 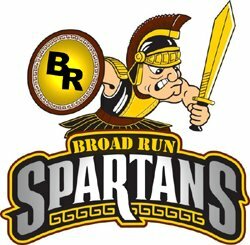 My name is Deborah Kelley and I'm excited to be here teaching at Broad Run for my 10th year. I moved to Leesburg ten years ago from New Orleans to teach here in Loudoun County. This has been the most rewarding and happy years of my life and I'm absolutely loving it here. I graduated in 2001 from Southeastern Louisiana University with a Bachelors in Science majoring in Family Consumer Science and also certified to teach Business Education. I've taught many subjects since graduating: Culinary Arts I and II, Consumer Homemaking, Work and Family Studies, Parenting, Nutrition and Wellness/Gourmet Foods, Teen Living, Business Management, and Choices. This year I have the privelage of teaching Early Childhood I and II and Gourmet Foods.